Prolific Interactive – mobile app agency – makes the 2018 Inc. 5000 List of Fastest-Growing Private Companies for the third year in a row. Prolific Interactive was listed today on Inc. Magazine’s annual Inc. 5000 list for achieving three-year revenue growth of 319% between 2015 and 2017. 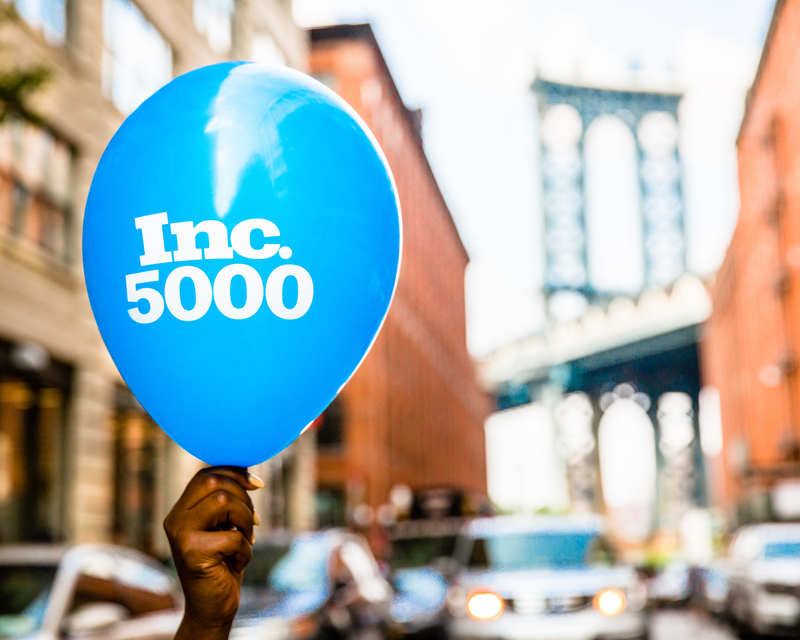 The Prolific team is honored to have made the Inc. 5000 list. Companies in the advertising and marketing industry make up less than 9.5% of the list, with Prolific being the only Brooklyn based agency to be recognized on the list for the third year in a row. "Prolific is honored to be named to the Inc. 5000 list for the third year in a row. Our success is driven by our incredible team and unique partnership approach with clients – where we truly become an extension of their company." This year, Prolific has released new and updated mobile apps for SoulCycle, TB12, Hibbett Sports, and more. Prolific’s exceptional work recently won two Appy Awards for Best AR/VR App and Best Home/Garden/Interior Design/Lifestyle App for our work with Build.com. Prolific Interactive is featured as one of Crain’s New York Business’s 50 Fastest Growing Companies of 2017.